ItemE-01368 - David William Higgins. ItemE-01378 - Map of the Nanaimo area. ItemD-04407 - Prospectors crossing the first bridge; Skagway River. ItemE-03732 - Logging at Harris Creek. ItemD-05225 - Mungo Martin, second from left, demonstrating his carving technique. ItemD-05704 - William J. Duval. 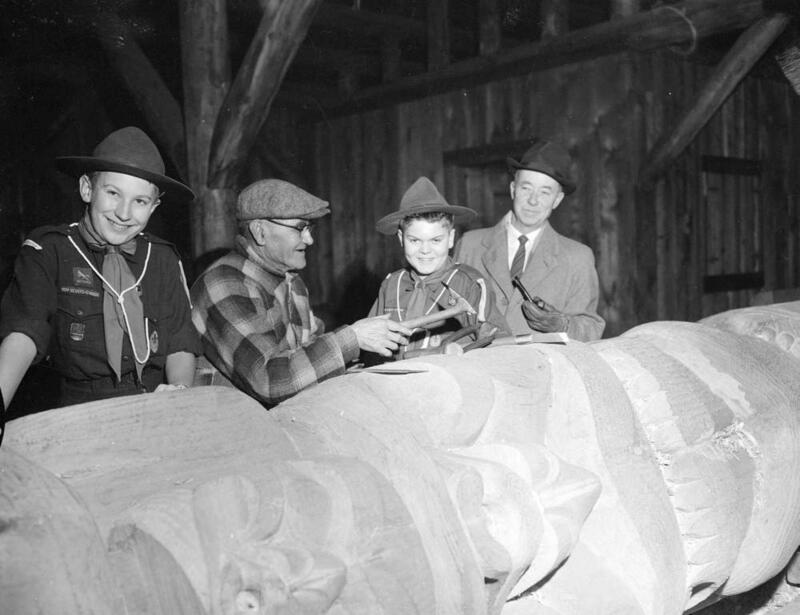 Item D-05225 - Mungo Martin, second from left, demonstrating his carving technique. Mungo Martin, second from left, demonstrating his carving technique.